As their names suggest, homeowner loans award buyers the opportunity to purchase homes they otherwise wouldn’t be able to afford out of their own pocket. You could argue homeowner loans, for that matter, are responsible for making millions of prospective buyers’ dreams come true. Having said that, not all homeowner loans are created equal; there are several different types, each of which bring something new to the table. And, not surprisingly, it’s in your best interest to know which loan options are best for your particular situation. Homeowner loans award borrowers the opportunity to procure a larger sum of money, so that they may — not surprisingly — buy a home. Unfortunately, most loans are a bit more complicated than that; there are a lot of moving parts. For starters, borrowers must first qualify (requirements will vary from loan to loan) for the loan in the first place. Provided the borrower meets the criteria set forth by the lender, the lender will then offer to give the borrower a predetermined amount of capital (based on their credentials) in exchange for interest. That way, the borrower will not only be responsible for the amount borrowed, but also the interest that accumulates over the duration of the loan (at the time of this writing, 30-year fixed-rates rest somewhere in the neighborhood of 4.625%). The borrower is, therefore, expected to pay back the original sum, plus interest, over the course of the loan. And by breaking down the payments into smaller, more manageable installments every month, buyers can actually afford to buy a new home. 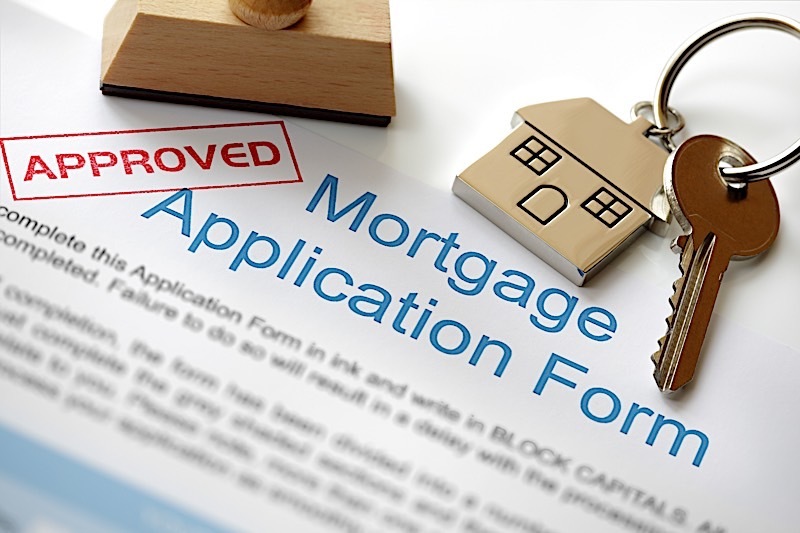 How To Qualify For Homeowner Loans? The best and easiest way to qualify for just about any and every homeowner loan is to boast a good credit score. If for nothing else, it’s your credit score that suggests your creditworthiness. That said, not all credit scores are created equal, nor are the loans they support. To qualify for a Federal Housing Administration (FHA) loan, for example, borrowers will need a credit score of at least 500. While credit scores are a big indicator for whether or not you can receive a home loan, they are not the only thing lenders will look at. In fact, there are some lenders (private and hard money lenders, in particular) that don’t typically take your credit score into consideration at all. Instead of looking at your credit score, private and hard money lenders will consider the property’s potential. The Good Neighbor Next Door (GNND) Sales Program: As an initiative of the U.S. Department of Housing and Urban Development (HUD), the GNND program focuses on strengthening communities across the country. In doing so, the GNND program “offers HUD owned single family (one-unit) homes to eligible participants at a 50% discount.” Qualified individuals include law enforcement officers, teachers and firefighters/emergency medical technicians who meet all other requirements set forth by the program. The Energy Efficient Mortgage (EEM): Federally recognized and — perhaps even more importantly — easy to use, the EEM may be applied to any qualifying mortgages to extend borrowing power. More specifically, however, EEMs offer borrowers the opportunity to take advantage of special benefits when they purchase a home that has been deemed energy efficient, or can be made energy efficient through specific installations. Local Programs In Your Area: In addition to the previously discussed and federally recognized programs, it is quite common for similar programs to be offered at the state level. There are a great deal of states and cities that have found it fit to offer their own assistance to first time buyers; you just need to ask the right people. First time home buyer programs, while not as heavily marketed as their loan counterparts, are widely available; you just need to know where to look. That said, those programs I hit on above are a good place to start. There is no doubt about it: good credit can make the home buying process a lot easier; however, those with bad credit are not without their options. To be clear, it is entirely possible to get a loan if your credit is less than perfect. Thanks, in large part, to the Federal Housing Administration, those with credit scores as low as 500 can still qualify for a loan. It’s worth noting, however, that those with scores under 500 won’t qualify for an FHA loan. For those with credit scores in the 500 to 579 range, a 10 percent down payment will be required. However, if your credit score is 580 or above, you may only need to make a down payment of 3.5 percent. Investors, on the other hand, may not even need to bring up their credit score if they go to the right lenders. In particular, hard money lenders and private money lenders don’t typically account for one’s credit score when determining whether or not to lend to a borrower, but rather take the property into consideration. That’s not to say there aren’t those private and hard money lenders that won’t require a minimum credit score, but most are more interested in the potential of the property. Therefore, lenders that can propose good deals stand a better chance at receiving a loan, regardless of what their credit score is. Private money loans, as their name would suggest, are those made by private individuals. For the most part, private money lenders are not affiliated with a lending institution, nor are they representing anyone else’s interest in a transaction. That said, they are essentially anyone with a little extra cash on their hands that is willing to lend it out. Private money loans tend to come with a higher interest rate, somewhere in the neighborhood of six and 15 percent, and some may even charge points. Private money lenders, not unlike banks, will use the property as collateral, but they don’t report to credit agencies. Even with all that, the high cost of borrowing can be well worth it, as private money loans offer one very important benefit: speed of implementation. While they have become synonymous with higher interest rates, private money loans can get money in your hands much fast than a bank. Hard money loans are going to share a lot of similarities with private money loans, but instead of private individuals, hard money lenders are lending “companies” that offer specialized short-term loans backed by the subject property. Like their private money counterparts, hard money lenders will exercise high interest rates and points, even slightly higher than private lenders (12 to 18 percent). More often than not, hard money lenders will also require points, as many as five. As an integral component to the United States Department of Housing and Urban Development (HUD), the FHA has helped respective buyers make the transition to homeowners for the better part of a century. Since 1934, the FHA has insured loans for otherwise “questionable” buyers; so that they too may be considered for better deals by lending institutions. Essentially, loans backed by the FHA are less risky, allowing lenders to take a chance on borrowers that would otherwise be unqualified. Not unlike the FHA, the U.S. Department of Veteran Affairs (VA) helps individuals make the American dream a reality. However, unlike the FHA, VA loans are intended to help Service Members, Veterans, and eligible surviving spouses become homeowners. VA Home Loans are made possible through the use of private lenders, and are therefore typically offered by banks and mortgage companies. However, much like the FHA insurance I alluded to earlier, the U.S. Department of Veteran Affairs guarantees a portion of the loan, making it less risky for lenders to lend to people with less than great credit scores. USDA loans are specifically designed to help lenders accommodate “low- and moderate-income households” looking to buy properties in rural areas. The program provides a 90% loan note guarantee to approved lenders in order to reduce the risk of extending 100% loans to eligible rural homebuyers. There isn’t a universal equation to figure out your own loan that spans each option and interest rate. However, there are several online house loan calculators to turn to. Bankrate, for example, has a mortgage calculator you may want to check out. Their calculator will let you plug in your own numbers to come up with a more accurate number, but remember one thing: the only truly accurate way to calculate your own mortgage is to talk to the lender you will use. Homeowner loans come in many “shapes and sizes,” so it’s up to you to figure out the one that will work best for your situation. Only those buyers that know all of their loan options will be able to maximize their opportunity. First time homeowner loans are out there; you just need to know where to look.